From Yesterday CloudFlare Security team receiving various reports of a Phishing Scam, which is targeting customers by saying that "you have exceeded bandwidth". In a blog post, CloudFlare said, "Some CloudFlare customers are currently being targeted with a phishing email that was not sent by CloudFlare. Please do not click on the links in the email." Scammer asking users to visit a phishing link (removed from sample for readers security). In case you open the URL, we request you to do not enter your username and password in the URL. 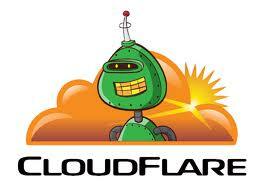 Please choose a strong password for CloudFlare to save your Domains.